The Renault Clio is a great supermini car made by the French automobile manufacturer Renault. It was launched in 1990, and was in its fourth generation in 2012. 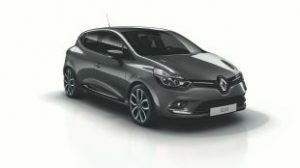 The Clio has been a critical and commercial success, frequently voted one of Europe’s top-selling cars since its launch, and it is largely credited with restoring Renault’s reputation and stature after a difficult second half of the 1980s. The Clio is one of only three cars, the others being the Volkswagen Golf and Opel Astra, to have been voted European Car of the Year twice, in 1991 and 2006. Most of the Radios fitted to the Renault Clio will be badged as TUNER LIST or UPDATE LIST, and all known variations to these can be decoded via our fully automated Code Recovery Services. This entry was posted in Reanault by ecom.